Located in charming community that’s close to a great range of shops, restaurants and golf courses, these homes are fantastic for a fun-loving family holiday near the beach. It’s great to stay somewhere with a personal touch and all of these homes are individually furnished, so it really feels like a home away from home. Bright and airy homes lead out to your own private pool – A great place to relax after your day exploring Florida’s sights. If you’re looking for a Florida family holiday that’s a little bit different, this could be the perfect choice. There are three or four-bedroom options so you can pick the one that’s right for your family and enjoy a relaxed time on Florida’s stunning Gulf Coast. 3 & 4 bedroom pool homes, sleeping up to 8 guests featuring a combination of King, Queen and Twin rooms. The home features all the equipment you will need for your self-catering stay, whilst the spacious living areas offers you plenty of space to spread out. The homes are equipped with self-catering facilities and fully equipped kitchens, meanwhile restaurants and supermarkets are just a short drive away. 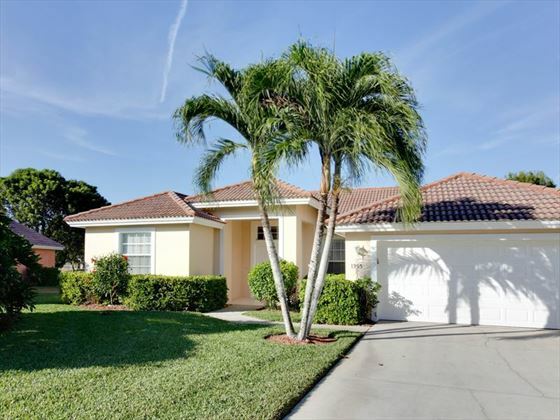 A one-off cleaning fee applies to all Naples Area Gulf Coast Homes and is payable locally on check-in: 3 Bed Home - $140, 4 Bed Home - $160. Also, a one-off $125 Homeowners' Association (HOA) fee must be paid locally, regardless of length of stay. Prices correct as at 6pm on 19 Apr 2019. Please call for final price. Prices are per person based on maximum occupancy. Other durations available - call for quote. Prices include flight and accommodation as stated below and car hire including Dollar rent-a-car's 'fully inclusive' insurance for the full duration. For more car hire options please ask your travel expert. 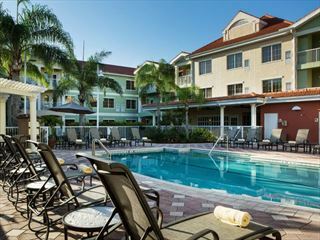 The DoubleTree Suites by Hilton Naples is a friendly and welcoming resort located in southwest Florida - a great base for relaxing holidays with your loved ones. Minutes from the major attractions of Naples, Holiday Inn Express & Suites is ideal as your base to explore the town and the surrounding area. Make the most of the proximity to the beach and Tin City.